Business Culture in Spain is characterised by: business communication, business etiquette, business meeting etiquette, internship and student placements, cost of living, work-life-balance and social media guide. Spain extends 505,182 km2 over the Iberian Peninsula to the southwest of Europe. The National Institute of Statistics indicates in 2011 that the population was 46,815,916. Spain is in the Central European time zone and adheres to CET (UTC+1) during the winter and CEST (UTC+2) during the summer months from March to October. The climate in Spain is predominantly Mediterranean. In particular, winters are mild and summers are hot in the coastal regions, with high rainfall in the Cantabrian area. In the Pyrenees and Sierra Nevada, the climate is alpine, whereas the south eastern part of the country is semi-arid and the Canary Islands are subtropical. However, in the northern and mountainous regions, the climate is harsher and it is usual to see snow from the winter months until the end of spring. Spain is a very diverse country and each region has its own unique character and distinctive atmosphere. The country comprises 17 autonomous regions and two autonomous cities (Ceuta and Melilla on the North African coast). Each region has its own institutional statute, which is written into the Constitution and forms an integral part of the set of SpanishState laws. Spain is a country with a rich history. This was particularly so in the 15th century, when the country started to flourish under the reign of Ferdinand of Aragon and Isabel of Castile. At that time, Spain was one of the world’s major powers with significant overseas activities, including sponsoring the successful voyage of Christopher Columbus (Cristoforo Colombo) and his discovery of the new world. A more recent milestone in Spainish history was the death of General Francisco Franco in 1975, which ended a 40 year period of fascist dictatorship. After this date, Spain set out on its path towards democracy and the establishment of a modern market economy. 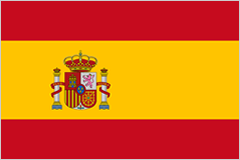 Spain is now a parliamentary democracy, a member of international organisations including the United Nations and NATO and has been a MemberState of the European Union since 1986. Historically, Spain’s primary industrial sectors have been food, textile, electronics production, highly developed machinery, including automobile plants, railroad foundries and workshops, diesel, electrical engineering and industrial equipment plants. The main manufacturing centre of Spain is the capital, Madrid and industry is predominantly concentrated in few regions in Catalonia, in particular around Barcelona, in Asturias, and in the Basque provinces. In the northern region there are also iron and steel works, a number of engineering industries, chemical plants, and shipbuilding facilities. Spain has experienced a considerable shift in values and attitudes, particularly after the restoration of democracy in 1975. Spanish social values and attitudes were modernized as its people came increasingly into contact with the outside world and the country was opened up to the outside world. The influx of tourists to Spain had a great impact in this respect; not only did tourists bring foreign currency to the country, they also brought the democratic political and social values of Western Europe. Another reason was the migration of Spanish workers to France, Switzerland, and Germany who brought back the cultural habits of other developed Western European countries on their return to Spain. This section will deal with some salient aspects of Spanish culture, traditions and lifestyle that have a tangible impact on the way that business is conducted in the country. The knowledge of traditional values and attitudes of the people will help you to understand them better and adapt the way you do business accordingly, which is beneficial to both sides. The following section highlights the general business and educational environment of Spain and focuses on the attitudes and values of the Spanish, as well as providing useful information on training practices and placements. In Spain, education serves as an important instrument in national integration by promoting equal opportunities as well as democratic, social and cultural values. However, Spain has traditionally spent less on education than other western European countries. Primary education is free and obligatory and there exists an extensive network of private schools; some of which are subsidised by the government and offer primary education free or at a reduced fee. There are also a considerable number of religious schools, which often offer a high quality of education. The quality of private sector schools varies greatly and, as many of them are severely underfunded, private education is not necessarily associated with elite education, as is often the case in other western European countries. In the 1980’s, the educational system was challenged and a new law on the right to education was introduced. Schools were sorted into three categories: free public schools respecting diverse religious beliefs, private schools offering paid education and religious schools, where students enjoyed the right not to receive instruction that violated their religious beliefs. Over recent decades, the Spanish education system has enjoyed an enormous success in enrolling the population into higher education. Since the 1960’s, university enrolments have nearly quadrupled and Spain now has some of the highest proportions of young people going on to higher education in Europe. However, the situation is not so bright when it comes to the student-teacher ratio in the school-age population and a teacher’s job is not as highly regarded as in other western European countries. Although the standard of educational services in Spain is not very high compared to other Western European countries, it is gradually improving. More and more people go abroad to study, in order to gain international experience and improve their language skills. At the same time, they also become more culturally aware, learning skills and knowledge abroad that are valuable in their home country. Furthermore, today the use of information technology is spreading rapidly. All these factors contribute to the improvement of the situation in education and training. The information from the following section should help you decide whether you need to bring an interpreter with your or whether you can rely on the language skills of your host. It may also help you decide what level of computer literacy you can expect from your Spanish business associate. The section is divided into three parts: general education, foreign language competence and cultural awareness. The Spanish style of life is very different to other western European cultures, with a much more laidback attitude. You will most probably find Spanish people to be less worried and more relaxed than you are used to. The Spanish enjoy life to the full; they love good food, drink, dancing and music. In order to understand Spanish culture fully, it is necessary to take part in social events and understand their habits and traditions. Another characteristic of the Spanish people is that they are extremely proud of the particular region where they come from. Spanish people are very heavy smokers compared to the rest of Europe, so smoking is widely accepted in public places. However, the number of smoke-free places is gradually increasing and should you wish to light a cigarette in front of your Spanish associate, you should always ask for their permission first. Family is an important part of Spanish life and changes within the family institution also affect business attitudes. Spain has made significant progress on equal opportunities for both sexes, although men still hold the majority of senior positions within companies and it is difficult to find women in some traditionally masculine professions. Nowadays, various government initiatives are in place to promote equal opportunities and legislation has been in place since 2007 to ensure equality in the terms and conditions of employment. The most significant barriers for women entering the workplace do not include social norms, but rather chronic high unemployment and lack of part-time jobs. Laws regarding the employment of handicapped people and the responsibility of employers for their social integration already exist; obliging companies, with over 50 employees, to hire at least 2% of their staff from people with disabilities. Spain is a very religious country with a large number of churches and other sacred places. You should be particularly careful when visiting such places to ensure that your dress is appropriate. Swimwear, short skirts and revealing outfits should be avoided. Although the Spanish are usually open and tolerant to other cultures, there are some issues that are best avoided in casual conversation or business encounters. These sensitive issues include, for instance, discussion about the Franco regime, concentration camps and prisons, the Spanish Civil War, partisan politics, religion, conflicts between regions of Spain (particularly Basque, Catalan and Gibraltar), homosexuality, personal finances or questions of a deeply personal nature. Other topics to avoid include bullfighting, machismo and feminism. Furthermore, although the body language of a Spaniard is usually more animated, it is advisable not to use excessive gestures and to avoid, for instance, backslapping or hugging in the initial phase of a business relationship. Once your relationship with Spanish business associates has developed into a strong bond, friendly gestures, such as hugging, may become acceptable. Spain is a relatively tolerant nation, but it is still advisable to follow the lead of your partner and not start discussing a sensitive topic, until they broach the subject.